New to gardening? Worried that planting your first edibles will turn out to be a fruitless labor? Fear not, novice gardener! While not totally foolproof, certain plants are ideal for gardening neophytes who want to increase their chances of gardening success. There’s just no substitute for a perfectly ripe homegrown tomato, and it’s hard to go wrong when you start with strong plants (look for thick stems and healthy leaves). If you get a big crop, consider canning or freezing. Many herbs are easy to grow, but basil is among the easiest. 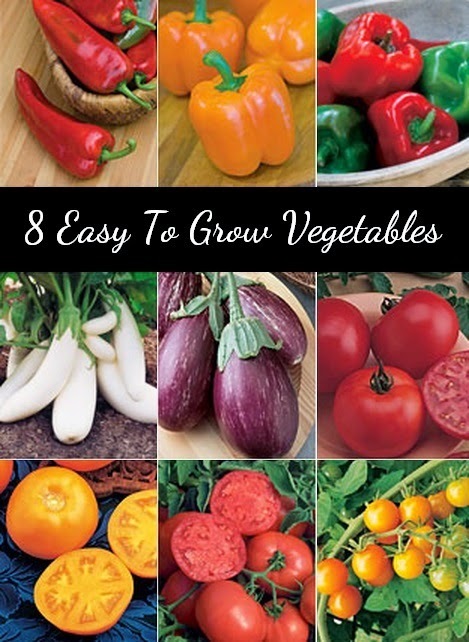 It complements tomatoes in both the garden and the kitchen and grows well from seeds or transplants. Hot and bell peppers are both easy to grow. Start with seedlings and let peppers ripen for different lengths of time to get a range of colors and flavors most peppers turn from green to red or purple over time, becoming sweeter along the way. Start with small plants. If they do well, you can harvest bulb onions. If not, you can eat the greens. Radishes do well even in not-so-great soil, and they’re ready to harvest in only a few weeks. Plant seeds in spring and fall. Potatoes store well when kept cool. A simple and low-maintenance approach is to plant potatoes directly in straw (with just a little dirt added) rather than soil. “Seeds” are whole or cut sections of potatoes. Only plant organic potatoes or those sold in nurseries as seed potatoes. Conventional grocery-store potatoes are sprayed with an antisprouting agent. Easy to grow and highly productive, green beans freeze well, and they’re delicious pickled as dilly beans. Start with seeds after danger of frost has passed. Perfectly ripe strawberries are luscious, and the plants are surprisingly hardy. Buy bare-root plants from your local garden center in early spring. Put this perennial in a sunny spot and weed often.